Australia has done much to reform its water management systems, but what’s good for the temperate south is not always good enough for the weather extremes of the tropical north. The tropics are a region of extremes, characterised by high temperatures and humidity as well as intense rainfall. It is also a region of rapid population growth. By 2050 two-thirds of the world’s children are projected to live in the tropics. Together, the extremes of weather combined with rapid urbanisation bring substantial challenges, including the provision and management of adequate water supply, stormwater and wastewater management. Excessive stormwater runoff is traditionally managed using grey infrastructure where a network of drains quickly remove stormwater from urban areas. Grey infrastructure is considered ugly and does not provide suitable habitats for aquatic organisms. 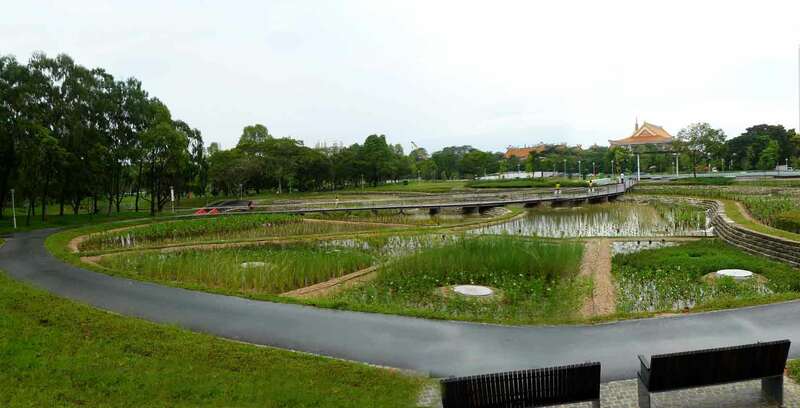 Changes to urban design and planning in recent decades have sought a more holistic approach to urban water management, by re-introducing natural processes to urban environments, adopting water sensitive urban design (WSUD), blue green infrastructure (BGI) or nature-based solutions (NBS). These measures reduce excess runoff through detention, infiltration and aquifer recharge. Pollutants in water are removed via sedimentation, by vegetation and the soil, or are broken down by soil microorganisms. 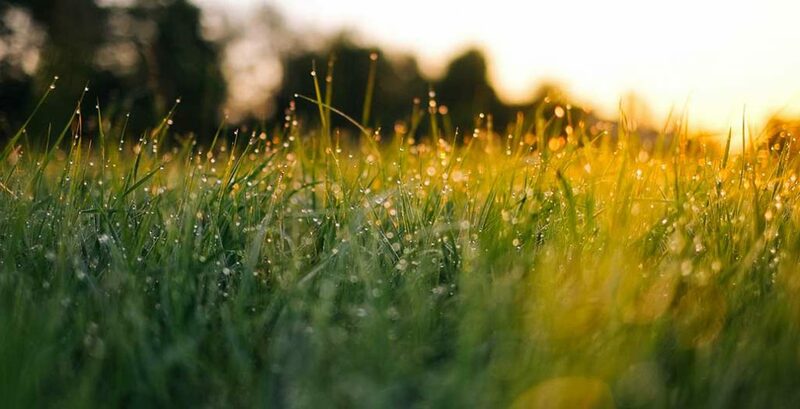 Typical infrastructure elements include rainwater harvesting tanks, rain gardens, bioretention basins, vegetative swales, green walls and green roofs, wetlands and river floodplains. When best implemented, WSUD infrastructure can achieve multiple positive outcomes, including more secure water supply, stormwater management for erosion and pollution control, increased biodiversity, urban cooling, the provision of public amenity through green space provision and varied recreation opportunities. All this increases the liveability and resilience of cities in the face of climate change. It has become clear that WSUD designs implemented in sub-tropical and temperate areas are not directly compatible to the wet/dry tropics. It is generally expected that climate change will increase the intensity and frequency of tropical rainfall. Water vapour in the atmosphere increases with a warmer climate, causing higher rainfall intensities. Both factors together result in higher stormwater runoff volumes and pollutant wash off into urban waterways. In Australia, tropical cities will experience a greater increase in rainfall intensity than other cities. To complicate matters, this change in rainfall intensity will not be the same for all Australian cities. Darwin will see an increase in severe rainfall intensity by as much as 40 percent, while there is no significant change predicted for Cairns. Added to this are seasonal rainfall patterns that result in significant differences in dry-wet season rainfall volume ratios. The rainfall ratio in tropical regions, from dry season to wet season can hit 1:8, whereas in temperate regions, that ratio shifts to 1:3. Australia’s efforts toward WSUD started in 2004 with a national blueprint for water reform entitled the National Water Initiative. This included provisions on Urban Water Reform requiring signatories to ‘develop national health and environmental guidelines for priority elements of water sensitive urban designs’. This in turn led to the National Guidelines for Evaluating Water Sensitive Urban Design produced in 2009. Significant detailed technical and implementation guidance quickly followed, with most WSUD infrastructure developed in and for non-tropical conditions, despite early identification of distinct needs. As a result, one of the main reasons for WSUD failure in tropical Australia is inappropriate design and maintenance. Particularly in areas of new residential development it has become clear that WSUD designs implemented in sub-tropical and temperate areas are not directly compatible to the wet/dry tropics. The tropics require a new WSUD infrastructure design template to suit local conditions. Stormwater systems may need to be bigger than their non-tropical counterparts, to detain faster and larger runoff volumes, which generated by more intense rainfall. Bypass structures may be needed to handle peak flows, while scour and erosion from faster, increased runoff may require additional erosion control structures, such as check dams to dissipate destructive runoff energy. The rapid growth of vegetation up north requires different approaches to species selection and maintenance, compared to temperate planting in and around wetlands. The distinct contrast in tropical wet and dry seasons requires design modifications, with the two seasons treated as different management periods. For example, despite periods of heavy rainfall, the ‘dry’ tropics of Townsville are subject to drought in extended dry periods. One option is to harvest and store water for irrigation during the dry season, whether in constructed wetlands or tanks. While tropical WSUD infrastructure brings similar benefits to that of temperate zones, including improved water quality, biodiversity and public amenity, it has the additional advantage of supplying much-needed cooling. Vegetation is another factor that differentiates the tropics from the temperate south. The rapid growth of vegetation up north requires different approaches to species selection and maintenance, compared to temperate planting in and around wetlands. Mosquitoes also present a real problem to tropical urban residents, with deep pools within WSUD infrastructure requiring habitat for mosquito predators. The early, award-winning Smithfield Village residential development in Cairns was a showcase example of WSUD in tropical Australia. Completed in 2007, the development had a combination of Gross Pollutant Traps that were linked to bioretention basins, designed to emulate natural wetlands. The Gross Pollutant Trap was the largest in Cairns at the time. A reticulated greywater system also provided non-potable water for open space and road reserve watering needs. Today, the bioretention basin is completely vegetated to the extent that it is easy to mistake it for a disturbed forest patch providing a quiet, shaded recreational space for local residents. Linear wetlands and engineered creeks are found in newer parts of this development and provide aesthetically pleasing multi-use spaces for residents of the development. With Darwin and Palmerston the two most populated and fastest growing urban areas in the NT, local governments, industry and professional bodies are aware that carefully nuanced WSUD projects are needed for specific tropical conditions. The same can be said for Townsville where WSUD projects have to be re-designed for the even more distinct wet-dry seasons experienced in the ‘dry’ tropics. Tropical cities and their water management approaches vary as a result of myriad governance, sociocultural, economic and political conditions, as well as variations in local climate, vegetation, topography and physical urban design. There is much heterogeneity within the tropics globally, and even within Australia. For WSUD infrastructure to make a significant contribution to water management in tropical cities, their design and implementation have to be suited to local conditions and be flexible enough to evolve according to each tropical city’s conditions and needs over time. HanShe Lim is a lecturer at James Cook University. She has broad research interests including the hydrological response behaviour of tropical catchments (both forest and urban catchments).